Publisher Norberto Santana Jr. thanks the special donors who make Voice of OC possible along with reviewing the biggest stories of 2017. Publisher Norberto Santana Jr. writes about the innovative position at Voice of OC, Involvement Editor, as well as the amazing longtime Orange County good government activist, Theresa Sears, who has grown the Voice of OC Opinion section since 2015. Publisher Norberto Santana Jr. talks about the unique opportunities that Voice of OC donors offer to interns, opportunities not only to get published but to make a difference. In fact, today’s line up of award-winning reporters at Voice of OC, all started out as interns. Publisher Norberto Santana Jr. talks about Voice of OC’s News Editor Tracy Wood, and her background in journalism, from Vietnam to Sacramento to Orange County and her influence on our reporters. From breaking stories to deep investigations, Voice of OC donors and local taxpayers receive great value from Tracy’s newsroom leadership. This holiday season, Santana reminds readers to consider donating – especially during a special matching grant period that ends Dec. 31 – in order to keep the newsroom strong and independent. Homelessness is growing to record levels in Orange County and elsewhere in the country, with more and more county residents struggling to afford rising housing costs and ending up on the streets. One of Voice of OC’s most popular stories this year looked at how local cities are dealing with a shortage of parking in residential neighborhoods. During this Christmas holiday week, Anaheim resident Mike Robbins, who volunteers with Housing is a Human Right OC and The People’s Homeless Task Force, writes that we should all remember the special ethos of this holiday and ask ourselves whether our government is truly doing the best it can for the weakest among us. 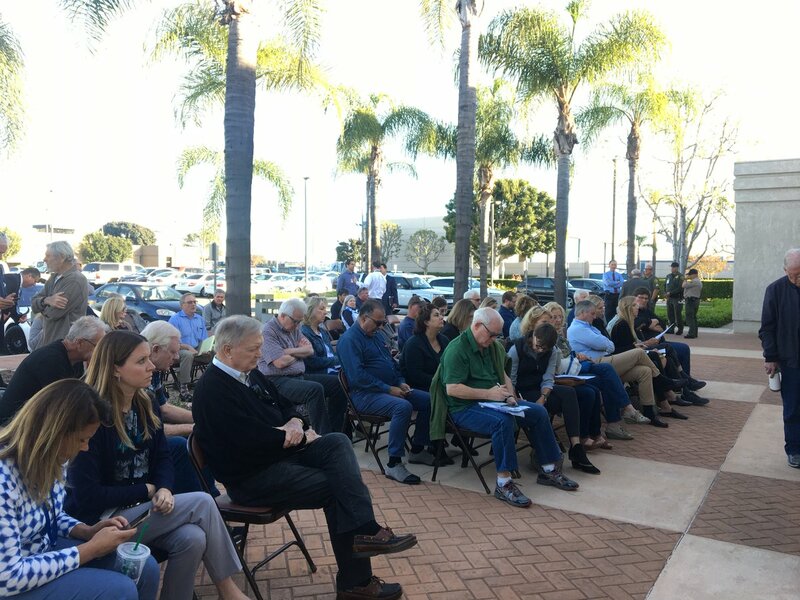 Robbins doesn’t think so and is calling on all Orange County residents to engage on their behalf and demand more from their local elected officials. Evelyn Valdez-Ward, a UCI student and DACA recipient writes that Congress needs to consider logical solutions for Dreamers, rather than considering anti-immigrant rhetoric.